In a packed chamber, the Humboldt County Board of Supervisors began discussing its commercial cannabis land use ordinance March 19 and — after a two-hour staff report and a couple hours of public comment — Fifth District Supervisor and Board Chair Ryan Sundberg indicated he's hopeful the board will adopt the new ordinance when it comes back before them April 10. But the board hardly discussed what promises to be one of the more controversial elements of the planning department's proposal — which is to pass a separate resolution capping the number of cannabis cultivation permits issued in the county. The meeting featured widely divergent public comment, with some speakers largely complimentary of the draft policy and its environmental impact report as others sought large-scale changes or lambasted the environmental study as inadequate or flawed. During its presentation to the board, planning staff stressed that the California Environmental Quality Act doesn't require an environmental impact report to analyze the cumulative impacts of the unpermitted, illegal cultivation that has been taking place for decades. Instead, staff said, the act simply requires an analysis of the immediate impacts of the ordinance being proposed. In this case, that just means looking at the impacts of permitting and bringing additional farms into compliance. But Scott Greacen, Friends of the Eel River's conservation director, said the county's environmental impact report fails to do sediment analysis, ignores clear evidence of stream de-watering and neglects to do the cumulative watershed impact analysis the county's general plan requires. In short, he said, the document is flawed and needs to be withdrawn and recirculated. "Great weed can be grown almost anywhere in California. Coho and steelhead cannot," he said. Representing the California Department of Fish and Wildlife, biologist Scott Bauer told the board that the department still has grave concerns about the ordinance and accompanying EIR, concerns the department has repeatedly expressed to planning staff. Most notably, he said, the department feels there needs to be a thorough analysis of cumulative watershed impacts. Ford began his presentation by taking the supervisors on a two-hour verbal tour of the almost 50-page ordinance, detailing how it diverges from the county's existing ordinance, which was approved in 2016. As reported in our March 15 story, the new ordinance is aimed at clarifying regulations and bringing them in-line with state rules, mitigating some unintended consequences of the previous ordinance and, potentially, giving local farms an opportunity to capitalize on canna-tourism by allowing farm stays, tours and microbusiness permits. The largest changes are aimed at limiting cannabis cultivation on lands zoned for prime agricultural uses — a sharp departure from the previous ordinance, which sought to push cannabis operations into these areas. The draft ordinance also seeks to offer incentives for growers currently operating in the black market to get permitted and to do it quickly. To that aim, it proposes allowing applications for existing farms received by the end of the year to permit 100 percent of their existing cultivation footprint, with that number falling to 50 percent for applications received in 2019, after which a moratorium on applications for existing farms would take effect. The draft also allows farmers to scale down below what their permit allows them to cultivate in a given year, with their county tax liability following suit, meaning growers will be taxed based on the square footage being cultivated rather than what was permitted. Two of the more controversial aspects of staff's proposal that are sure to take center stage April 10 are placing a cap on the total number of cultivation licenses issued by the county and changing the cap on the acreage a single person or business can cultivate. Under the current ordinance, no one can receive more than four permits from the county for cannabis-related businesses. 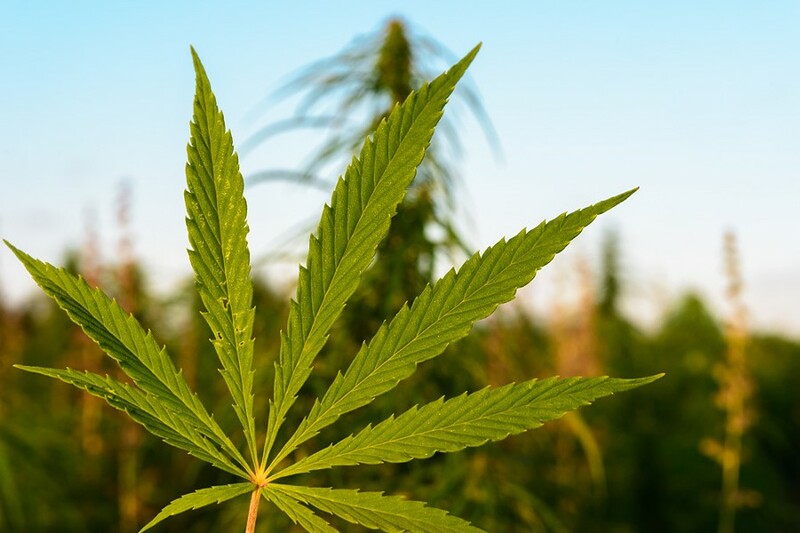 County staff is proposing to change that limit so it only applies to cultivation permits, meaning a farmer could hold four grow permits and also pursue distribution, manufacturing or retail permits. The current ordinance also essentially prevents growers from holding permits to cultivate more than 4 acres of land, as it caps grows at 1 acre per permit and limits people from acquiring more than four permits. But the county currently allows large properties — those spanning more than 320 acres — to accommodate up to 12 acres of cultivation. Staff is now proposing reducing the allowable acreage on these large properties to 8, but some feel that doesn't connect with prohibiting a single person or business from holding permits to farm more than 4 acres. The idea behind the caps, Ford said, was to prevent a handful of large-scale cultivators from dominating the industry. But First District Supervisor Rex Bohn openly questioned that logic during the meeting. "When did it come in that we were going to limit people on the amount of success they could go after?" he asked. Under the current framework, Bohn said folks looking to grow more than 4 acres will probably just sublease properties to friends, creating a paperwork morass that might make it difficult for county staff to address problems with a single responsible party. But Third District Supervisor Mike Wilson said he believed the idea was to spread the benefits of the industry among as many people as possible. The board also briefly discussed staff's proposal to cap the overall number of cultivation permits issued in the county. Ford quickly walked the board through three options: it could cap the total number of permits at 5,000, spread equally across Humboldt County's 12 watersheds; it could bar any further permitting in "critical watersheds," meaning those already badly damaged or deemed healthy but in need of protection; or it could decide on a sort of compromise, banning permitting in "critical watersheds" and capping the total number at 3,000. Currently, there are an estimated 15,000 cannabis farms in Humboldt County, only about 2,000 of which are working to get county permits and come into compliance. If the goal is to bring as many farms as possible out of the shadows and into compliance, some on the board questioned whether a cap makes sense. Others — like Bauer — supported the concept of a cap but said it should be driven by a detailed analysis that looks at the carrying capacity of each watershed. Either way, Ford said the cap shouldn't be viewed as a "hard cap" but a point at which the county would pause and evaluate the efficacy of its permitting and the impacts of the industry before deciding how to proceed. Another point of controversy the supervisors will have to hash out April 10 is what to do about school bus stops. The current ordinance requires any cannabis business to have a 600-foot setback from school bus stops, but allows school districts to waive the requirement. This has put a lot of pressure on districts, which have been inundated with requests. The Humboldt County Planning Commission withdrew that provision from the ordinance, but some on the board indicated at the meeting that they'd like to see it remain in some form. The discussion is slated to continue in the afternoon session of the supervisors' regularly scheduled April 10 meeting, beginning at 1:30 p.m.
Thadeus Greenson is the news editor at the Journal. Reach him at 442-1400, extension 321, or thad@northcoastjournal.com. Follow him on Twitter @thadeusgreenson.